My third year UBC Management students may recall our classroom discussions on ethics, and the painful reality that there are no clear and easy answers in ethical situations, even when you want to “do the right thing.” We are all now hearing and reading about Edward Snowden, who is now at the center of a global political firestorm, caused by Snowden’s decision to reveal the NSA‘s PRISM surveillance program, and its extraordinary encroachment of personal privacy. Snowden’s revelations have now also entangled the UK’s GCHQ, the secret intelligence gathering arm of MI6 in Cheltenham, Gloucestershire, and Canada’s Secret Intelligence Service (CSIS), which have also been sharing similar snooping with the NSA. A former U.S. National Security Administration contractor, Snowden was actually employed by Booz Allen Hamilton, a global management consultancy firm. Snowden’s situation should give us all pause to consider the Brave New World we have entered with zettabytes (1 Million Terabytes) of Big Data, and the uses of it. So the question needs to be raised. You are a young new management graduate, hired by one of the major international management consultancy firms, and you are surprised to find yourself posted to the Canadian Secret Intelligence Service (CSIS), or the NSA, or MI6 in the UK... You have been taught in university to recognize ethical problems and you become intimately aware of programs and activities that do not feel right to you. Something in your gut says that it is wrong, a violation of our basic democratic freedoms. But of course there are no easy answers. These programs are providing intelligence that may be preventing terrorist attacks. The consequences for you personally, should you choose to reveal what you know, are potentially catastrophic. What would you do? Whatever side you may take on this issue, I think it is important to appreciate that Edward Snowden has made his extraordinarily difficult decision. It may well cost him for the rest of his life. Would you be prepared to take that kind of stand? If not on an issue like this, on what kind of issue, or any issue? Even in my home town of San Francisco, there is controversy. U.S. Senator Diane Feinstein, from San Francisco, who sits on the Senate Intelligence Committee, has spoken out fervently that the NSA Prism intelligence gathering program is entirely “within the law.” Senator Feinstein has also joined the voices calling for Snowden’s indictment on espionage charges. In contrast, U.S. House of Representatives Minority Leader Nancy Pelosi, also of San Francisco, has spoken up in defense of Mr. Snowden. 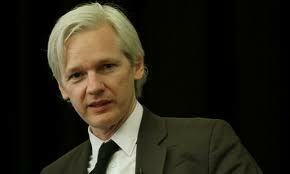 The Snowden affair has put the Bradley Manning and Julian Assange Wikileaks matter into a much clearer perspective. Something much bigger is going on here. 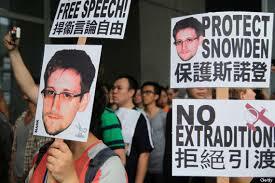 With multiple nations rising to support and protect Mr. Snowden, it makes it much harder for the United States to argue that they have the high moral ground. A key issue we all need to follow is how the lightning fast advances in technology are eclipsing the “law.” I worry that Senator Feinstein, for all of her skill and knowledge, has not grasped the significance of Big Data as it applies to personal privacy under the Constitution of the United States. My personal cut is that Mr. Snowden has done the free world a great service, at a tremendous cost to himself. It is also interesting to see the enormous support he has engendered around the World, in a matter of days. The U.S. government is looking terrible on the World Stage, as it attempts to apprehend Mr. Snowden. Only a very brave few in the United States have even attempted to defend Snowden. The Libertarian Rand Paul began a defense of Snowden and later backed off. House of Representatives Minority Leader Nancy Pelosi has also bravely spoken out in support of Snowden to a chorus of disapproval.. This is the the core stuff of ethical dilemmas. When the going gets tough, the tough get going. Remember this in your own small way in your careers. John F. Kennedy wrote a now legendary book, Profiles in Courage, which we should all take out and read again. Whether you agree or disagree with Edward Snowden’s actions, he has shown himself to be a person of character and determination. Think of him like Braveheart’s William Wallace, played by Mel Gibson.